Think it’s cool to Juul? Juul has become a popular nicotine delivery device for young adults despite the company’s mission. Its attractive flavors, addictive nicotine deliverance, and sleek design have caught the eye of many teens. Vaping has increased to approximately 11% use in high school students. Despite being marketed as safer than cigarettes, it doesn’t mean it’s healthy. Vaping is highly addictive. In fact, the nicotine in e-cigarettes and Juul pods are more concentrated and contain a more highly addictive form of nicotine than tobacco cigarettes. It’s not uncommon for students to hit the Juul from morning until night and go to extreme measures just to get a few puffs in school. The highly addictive nicotine alters brain chemistry in the undeveloped teenage brain priming it for more addictive behaviors as well. 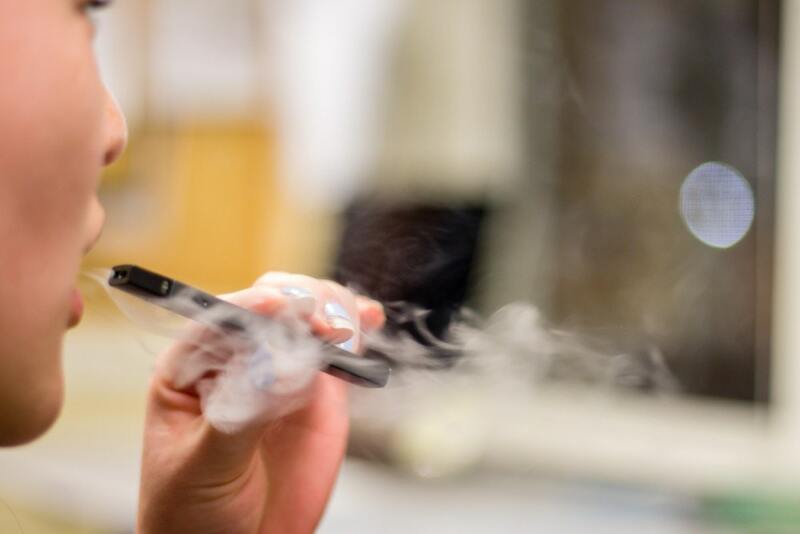 The use of Juul and other e-cigarettes simulates cigarette smoking and leads to an increased risk of tobacco cigarette smoking in never-smoking young adults. There are no well-known acute side effects of vaping but we do know it makes asthma and other chronic lung diseases worse. So just before you think to vape or Juul, don’t. Remember it’s extremely addicting, alters brain development, and can lead to tobacco cigarette smoking in your future.